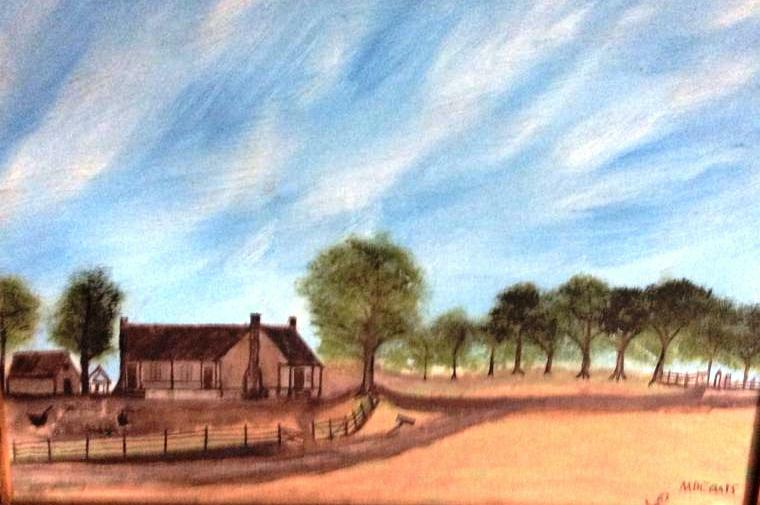 A copy of this beautiful painting of Newt Knight’s farm was provided to me through the efforts of Charlene Morehead and Mitchell Coats. Maxwell “Mac” Coats, Mitchell’s father, painted it from memory in 1987. Raised in Soso, Mississippi, Max was born in 1918 and remembered seeing Newt (who died in 1922) as a child. Note: the central tree depicted in the front yard is the hollowed-out one in which Newt occasionally hid in during the war. On the far right of the painting is the Newt Knight cemetery. One of the Civil War stories passed down to Mac describes how one of his Coats ancestors would pass ammunition on to Newt by wrapping it in a red bandana and placing it on a fence post located on Coats land. History itself documents that at least one branch of the Coats family had close ties with the Knight Band. Although Mac’s grandfather, Jefferson Davis Coats, born 1861, seems clearly to have been named after the president of the new Confederate nation, Merida, the son of Daniel and Ann Coats, appears on Newt Knight’s 1870 roster of men. Merida was among those captured during Confederate Col. Robert Lowry’s raid on Jones County in April, 1864, and forced back into the Confederate Army in lieu of execution. Several of Merida’s sisters married men from the Valentine family who also joined the Knight Band. Eliza Jane Coats married one of Newt’s strongest allies and friends: James Morgan Valentine. 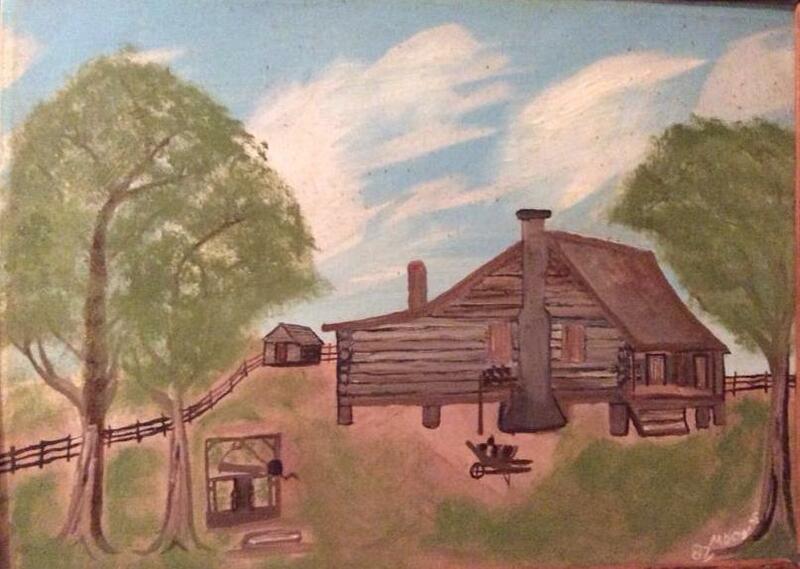 Pictured below is another of Mac Coats’s paintings, this one of the home of his Uncle Amos Coats and his wife, Laura. 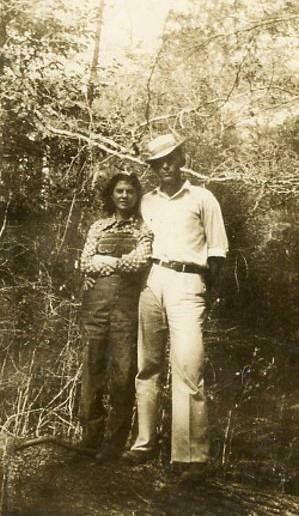 The artist himself . . . .
Mac Coats with future wife, Laura Hill, at Lake Waukaway, about 20 miles from Laurel, MS., circa 1937-38. The Movie “Free State of Jones” is on the way! Welcome to Renegade South, Jane. Who was your great-grandfather? We might be able to provide some information. Jane: I’ll check my records. I recall my Aunt Marggie who married my grandfather’s brother, Uncle Deb, saying that as a girl she remembered Newt Knight riding by one day. That is all I remember about that encounter, still somewhat interesting and close to home.